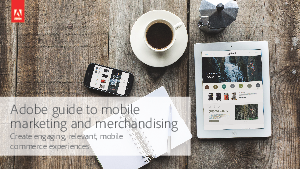 Mobile devices have changed the way people shop. They can also improve or augment in-store shopping experiences. An online store can offer a wider array of merchandise, including a fuller selection of colors, styles, sizes, and personalization options, than a brick-and-mortar store. A furniture store, for example, can only display a limited selection of inventory, while its online counterpart can show off any combination of styles, fabri combinations, and custom options it wants. You don’t want to miss the opportunity to capture your customers’ attention and loyalty regardless of how and where they shop.